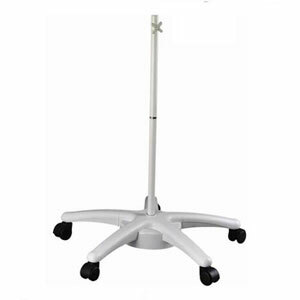 Heavy white floor stand for magnifying lamp, delivered Australia wide. Spare part for Magnifying Lamp. 5 Legged heavy duty white Floor Stand. (#CAPG030W). Delivery of Magnifier Lamps Australia wide. Online payments using MasterCard, Visa or PayPal. For more information phone (02) 6162 1950 or email. * Desk top, Clamp and Floor Light models available.